As tragic as it was that this Lakeview Pavilion burned down, it still holds such a fantastic place in my heart. The lighting and the tule made for such beautiful wedding photos, especially during the first dance. 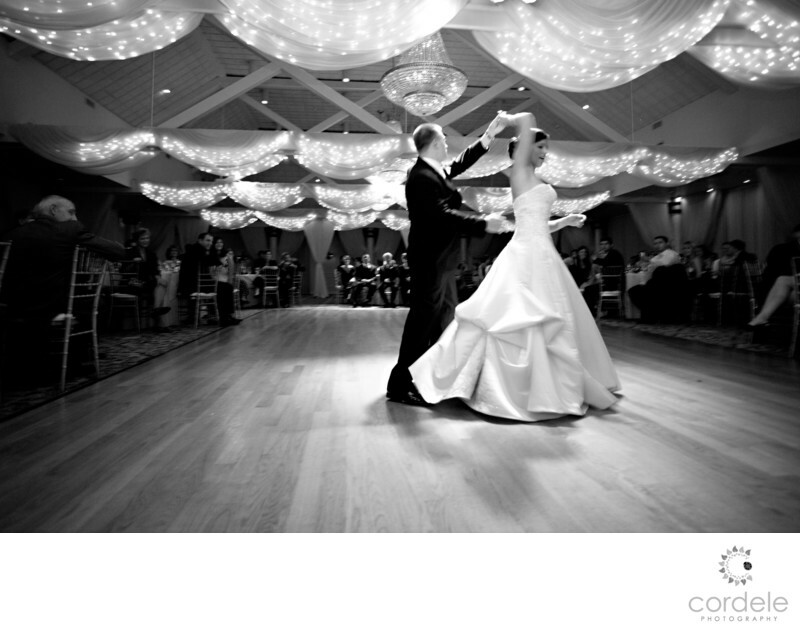 I always loved capturing the dance with the lights with a wide angle lens as to show the entire room and its ambiance. This was Nicole and Chris's wedding one of my favorites and I caught a magical moment as he spontaneously spun here around. I love the flash lighting them just a touch in the back giving them nice rim light and I love how big the room looks with the lens I chose to shoot with. Lakeview is one of the most beautiful venues. I am happy to report that they just reopened and I can't wait to be able to shoot there again.